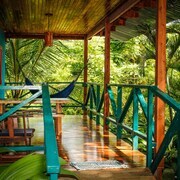 Situated in Cobano, this bed & breakfast is within a 15-minute walk of Montezuma Falls and Montezuma Beach. Santa Teresa Beach and Cabo Blanco Nature Reserve are also within 9 mi (15 km). 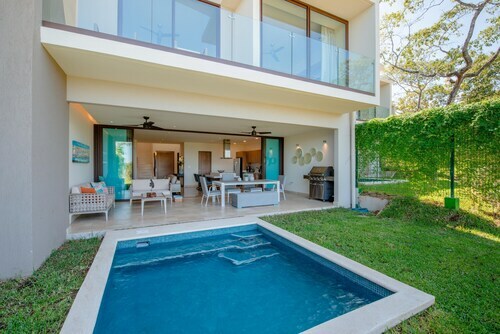 Offering direct access to the beach, this Cabo Velas condo resort is 2.4 mi (3.8 km) from Playa Brasilito and 2.7 mi (4.4 km) from Conchal Beach. Flamingo Beach and Penca Beach are also within 9 mi (15 km). 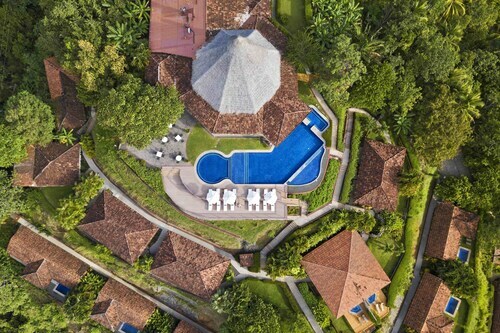 This family-friendly Bejuco resort is located by the ocean, 0.4 mi (0.7 km) from The ARA Project, and within 9 mi (15 km) of Carrillo Beach and Jungle Butterfly Farm. 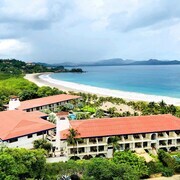 Samara Beach and San Miguel Beach are also within 12 mi (20 km). 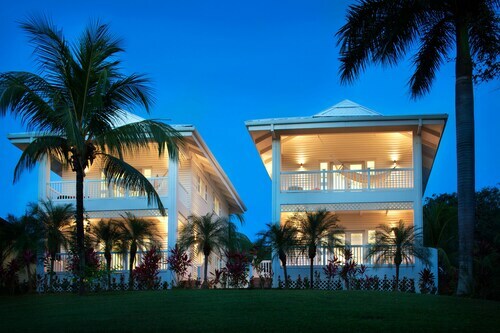 How Much is a Hotel Room in Nicoya Peninsula? 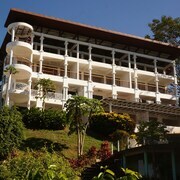 Hotels in Nicoya Peninsula start at $57 per night. Prices and availability subject to change. Additional terms may apply. 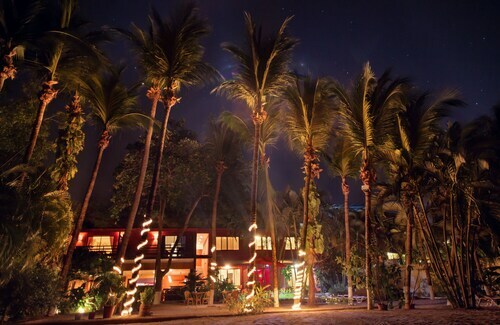 Taking that trip to Costa Rica? Looking to take the path less traveled to Nicoya Peninsula? Travelocity presently has a large choice of accommodation options nearby. 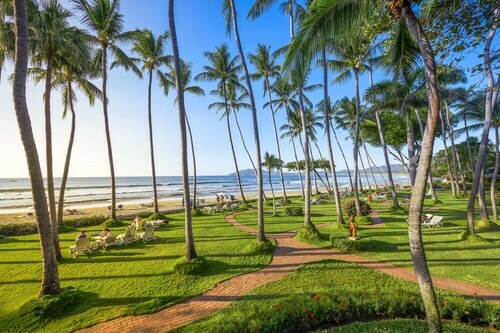 You'll find and experience all that Nicoya Peninsula and the region has to offer with as many as 42 hotels located within a 19-mile (30-kilometer) area. 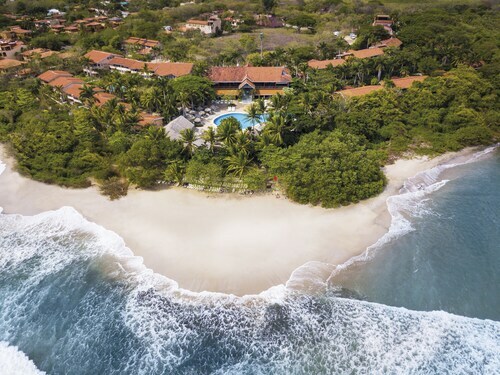 The closest Travelocity hotel is the Hotel Punta Islita, Autograph Collection, Costa Rica, which is 13 miles (21 kilometers) from the central area of Nicoya Peninsula. 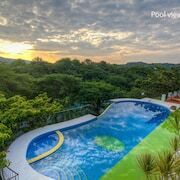 A second convenient Travelocity-listed accommodation option is the LAcqua Viva Resort & Spa, found in Nicoya Peninsula, 18 miles (29 kilometers) from the downtown area of Nicoya Peninsula. Budget travelers can breathe easy. 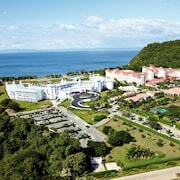 The Nicoya Peninsula area offers a solid range of budget hotel establishments. 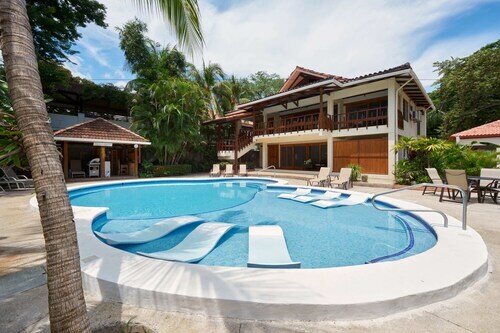 19 miles (30 kilometers) away from Nicoya Peninsula's center is the Villa del Sol. The Flamingo Marina Resort is just 35 miles (60 kilometers) away. 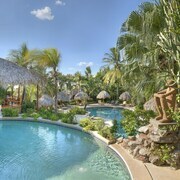 Additional lower-cost hotels are the Vista Hermosa Boutique B&B and the Playa Grande Park Hotel. 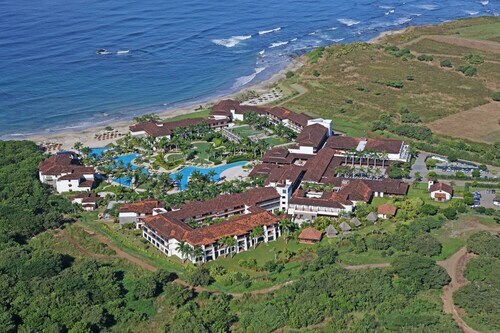 18 miles (30 kilometers) from the heart of Nicoya Peninsula, you will find the The Harmony Hotel. 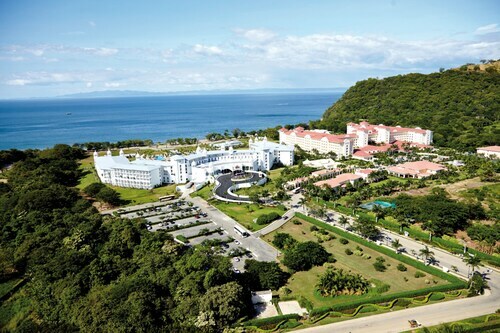 The Villas Playa Samara Beach Front Resort - All Inclusive is about 14 miles (22 kilometers) away. 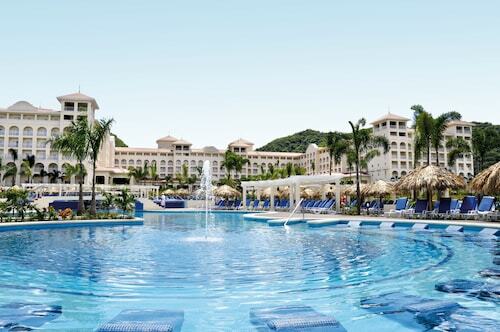 Another possibility is to book a bed at the Hotel Samara Beach or the Hotel Guanamar. 18 miles (29 kilometers) to the west of Nicoya Peninsula, you can find Nosara, where you can enjoy Safari Surf School and Frog Pad. 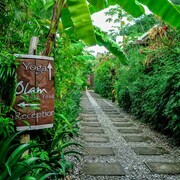 If you're planning to spend a few nights in Nosara, check out the rooms at the Living Hotel and Olas Verdes Hotel. 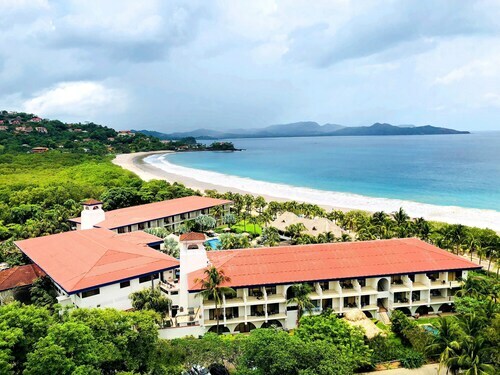 For another option, head to Carrillo, 14 miles (22 kilometers) south of Nicoya Peninsula, where you'll find the Hotel Sol Samara and Hotel Leyenda. The Samara Beach and Carrillo Beach are frequented sites to see should you visit Carrillo. Just because you and your traveling partners are traveling in Guanacaste - North Pacific Coast, does not mean that you can't feed your passion for a day at the stadium. 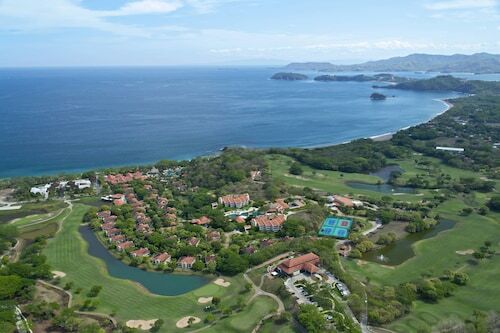 You can find Tronadora Arena 45 miles (74 kilometers) to the northeast of Nicoya Peninsula. 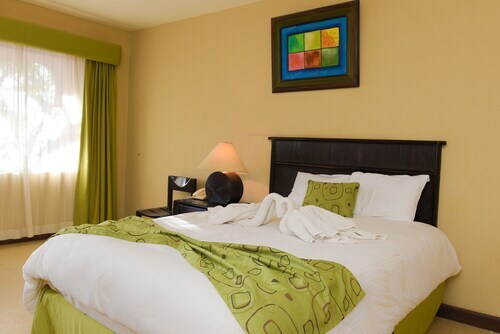 Book accommodation close to the sporting action at the Hotel Puerto San Luis or the Hotel Cielo Azul Resort. Located 40 miles (63 kilometers) outside Nicoya Peninsula is Daniel Oduber International Airport. Find a room nearby at Hilton Garden Inn Liberia Airport or Hotel Rincon del Llano. The entire resort was beautiful. The staff at the Palace was great. They were always helpful and friendly. Clean, prompt workers, (most did smile, only a few grouches), ample food, ample chairs by pool, pool clean (and cleaned frequently), beach area nice, even though its not built yesterday, this place is very nice to stay. We had an AMAZING vacation. The Westin was beautiful; the staff were friendly, helpful and just great people. We loved all the amenities. Monkeys, flowering trees, clean pools, fun games (pool, ping ping), good entertainment. It was like being on a cruise on land! Buffet was very good for breakfast and lunch - preferred restaurants for dinner but difficult to get a reservation. Our favorite was the Italian restaurant.